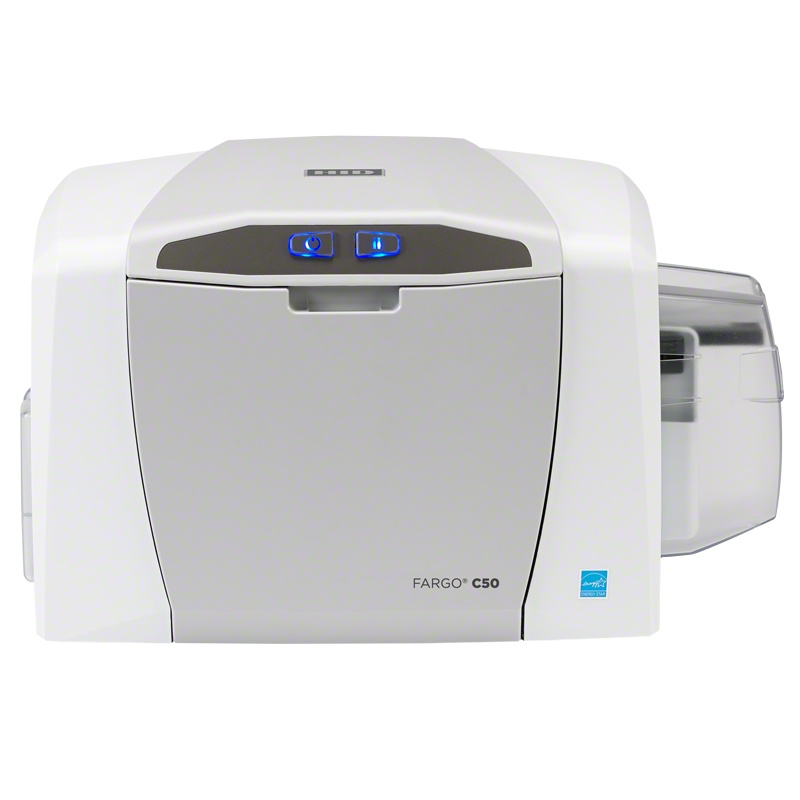 The Fargo C50 is our most cost effective card printer, but it doesn't lack in quality or efficiency. The C50 has the same print quality as it's bigger brothers (DTC1250e, DTC4250e and DTC4500e). 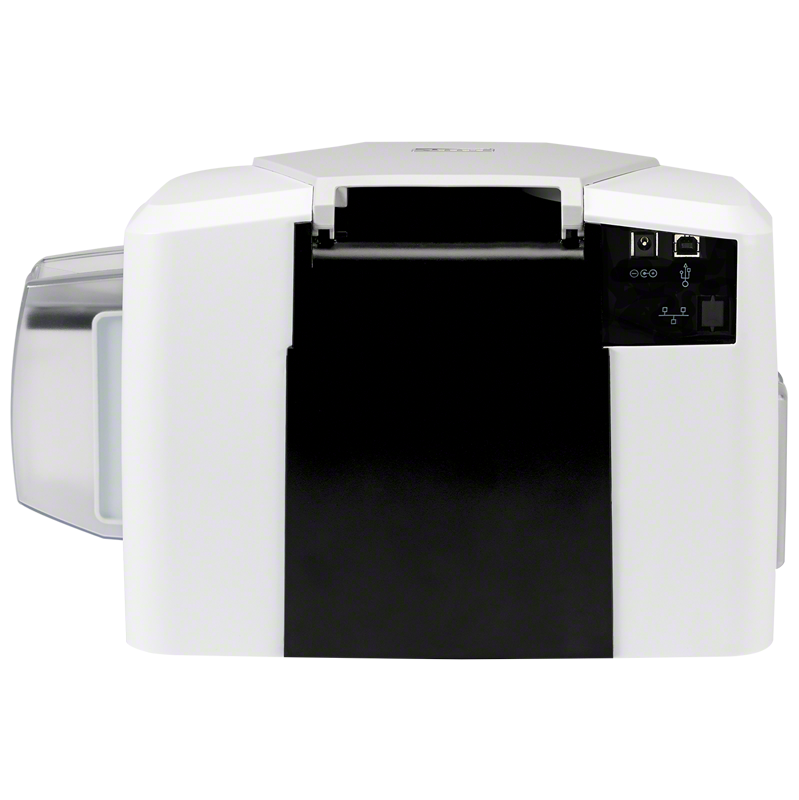 The main differences between the C50 and DTC1250e is the print speed (21 seconds for a full colour card), 50 card input hopper and it doesn't offer any other options such as double sided, magnetic stripe encoding or ethernet... If you need any of these options, we recommend the Fargo DTC1250e Card Printer. The C50 is perfect for those who just want a single sided ID card printer with USB connectivity. With a small foot print and ribbon cartridge load from the front makes this card printer ideal for anyone with a small budget. Have you seen our Card Printer Service Guarantee? It's free with every Card Printer sold, click here.